“WildStar is cowboys in space with laser guns, bombs, and a dominating empire (the Dominion) out to crush dissidents (the Exiles) under its mighty heel.” Read our review to see if this MMO is worth diving into. Wake up, log into your MMO of choice, do your dailies and putz around being bored for an hour or two because most of your friends wandered to greener, more epic pastures, and eventually log out and find a single player game to play. If you’re like me, this probably sounds a little too close for comfort. My interest in MMOs, at least in the higher end titles, has waned as the years have passed, and I’ve tried everything from cute Maple Story style free-to-play games to Aion and Elder Scrolls Online; sadly, none of them have given me exactly what I was looking for. You see, I’m not a heavy PVPer or end game raider. Oh I enjoy them, but they’re not the part that drives me. I’m a role-player, and the things I want from a game – aside from the basics that make a game good – are those ‘fluff’ elements that add nothing to combat or gear stats. I want things like player housing, gear and mount customization, and an immersive world that doesn’t take itself seriously every moment. With the heavy lean toward PVP-centered games, I had begun to wonder if a game in the style I was craving would ever come along. 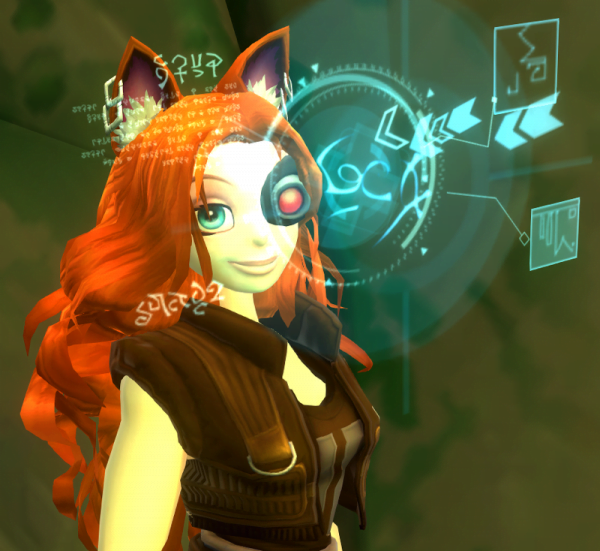 And then there was WildStar. Hold on to your hat, Cupcake, you’re in for the ride of your life! WildStar is cowboys in space with laser guns, bombs, and a dominating empire (the Dominion) out to crush dissidents (the Exiles) under its mighty heel. The Dominion are exactly as their name sounds. First, there are the Cassians, a race of humans that the Eldan – a highly advanced race now long gone – chose to build a star-spanning empire. And build they have, going to great and devious lengths to accomplish this feat. Joining them are the Draken, a half dragon looking race known for their fierce warriors; the Mechari, a race of robots engineered by the Eldan themselves, who take their roles very, very seriously; and lastly the Chua. The Chua are brilliant engineers, devoted almost entirely to science and absolutely, 100% stark raving mad. Cute and fluffy, Chua have only one gender in the character creator, because only a Chua can seem to tell which of them is male and which is female. Oh, and don’t ask them either: that’s a surefire way to get yourself blown up. Safe to say, you wouldn’t want to make any of them angry! The Exiles are, of course, my personal favorite. Run out of their homes by the Dominion, they’ve banded together to try and keep themselves alive. Now that they’ve found Nexus, they aim to make it their home, and together they will fight the Dominion to the death to keep it. And let’s face it: who doesn’t like the scrappy underdog? To start, there are human exiles, almost all with a southern, cowboy-esque accent; the Granok, rough and tumble beings made out of stone; and the Aurin, tree dwelling hippies protectors of nature with fuzzy ears and a long fuzzy tail. Not gonna lie, these guys are cute as all get out, and I have two of them. Cutest little rebels this side of Mos Eisley! In the character creator, there are not only a myriad of skin colors, hair options, and faces, but the team at Carbine Studios has also given us varying body types to play around with. Bodies vary from race to race, but you can be super skinny and underweight up through a supremely curvy hourglass figure, although I have to admit that it’s a little disappointing to have facial sliders to adjust the minutiae of your character’s face, but not to have any body sliders. There’s many reasons cited for it, but personally I think it’s because of the difference in gear customization and mounts. Some say that the lack of sliders is a huge downside, but if you ask me, I’d rather have all the other amazing things they’ve done than worry about the size of my character’s feet or forearms. I have often found a problem in games which offer deep customization of the character in that there’s usually a plethora of clipping glitches and mesh issues with clothing and armor. Carbine seems to have made it clear that they don’t want to put in something that will be a detriment to the game and the players, and I think this is one of those cases. Body sliders probably just didn’t work well enough for the game and – rather than put out a shoddy product – they just didn’t add that feature. 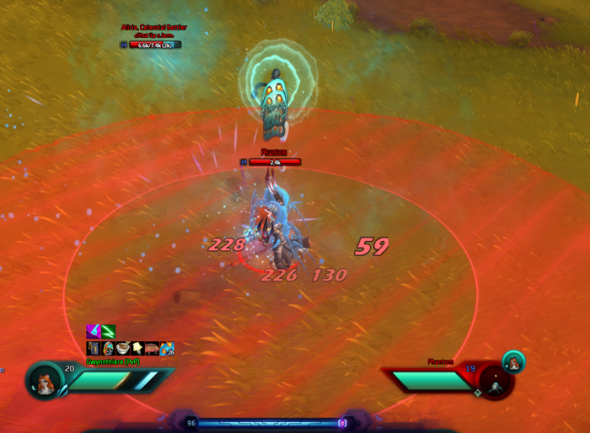 Combat in WildStar is unlike any other style I’ve played before. They employ many abilities that allow for movement while casting, which lends the combat a more energetic and organic feel than others of their kind. Telegraphs – little outlines lit up in green, blue, or red – tell you what to avoid or what to stand in for benefits, and it’s quite easy to avoid a lot of the powerful attacks if you just keep an eye out on the ground for them. Even healers and spell casters seem to have a lot they can do while either stationary or moving, which is interesting for a casting class. Almost universally, any form of caster has either instant cast spells or ones you have to stand still to use. WildStar turns that on its head. The classes are very well imagined and so much fun to play that I have actually traded out my well-worn role of healer for a Stalker, a melee class reminiscent of the rogue. You don’t have your typical targeting, and the spells don’t follow the enemy unless there’s a special reason for it, so you have to position the enemy within your blue telegraph field in order to hit them. This can lead to some frustrating situations, especially in PVP, but I found that by level 14 I was managing it pretty well on my stalker. I realize this review is a bit slow in coming, and I’ve got to be honest with you; it’s entirely my fault. WildStar has offered unique mechanics, beautiful music scores, and a world so immersive that I find myself sitting in front of the computer long after the lights are off and everyone else has gone to sleep. Jeff Kurtenacker – an immensely talented composer with a truly impressive portfolio to his credit – has really hit it out of the park with the music for WildStar, and you can feel the love and care that goes into it, even if you’re only listening to the character creation music. If you check out his SoundCloud you’ll find almost an hour of original scores just for the game, and – even without knowing anything about the property – I’m sure you’ll agree the music is wonderful. Honestly, I think that’s what makes Wildstar stand out more than anything else. It has been, and continues to be, a work of love by a group of geeks no different from the rest of us. We can see ourselves reflected in the Dev team, and their weekly streams on Twitch help bridge the gap between faceless developers and their community. This is an ongoing trend with MMOs lately, and I for one couldn’t be happier with it. Transparency can make all the difference here, and Carbine has been upfront and even apologetic at times (I’m looking at you, Cougar) about what’s going on behind the scenes. There is a sense that we matter to them, and that couldn’t be clearer than in the case of the overloaded servers during headstart. The demand for PVP servers far outweighed the predictions made by the Ops team, and Carbine faced a hard decision: most PVP servers have a simple rule in place that, once you make a character of one faction, that’s the faction you’re stuck with. If you made a Dominion, you couldn’t make an Exile on the same server. PVE and RP servers don’t have that rule, it’s mainly for PVP servers to help mitigate griefing. Though the team opened up more PVP servers, no one wanted to restart the characters they had already started on, and so the queue times remained unchanged. While access to server transfers were something they were working on, they weren’t able to get it work with the PVP server rule in place. So Carbine’s Ops team had to choose between getting rid of the rule, or removing the opportunity for transfers, and this is where they surprised a great majority of us. 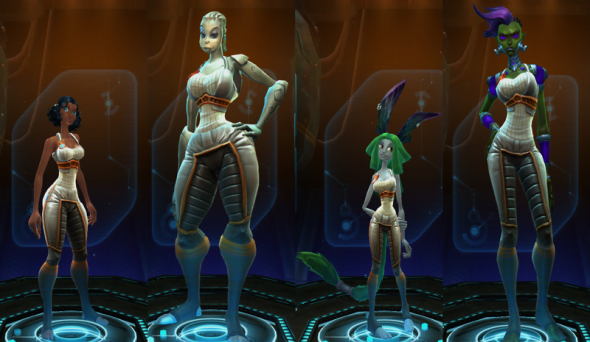 WildStar turns the MMO stereotype on it's head and almost reinvents what we know about MMOs in general. 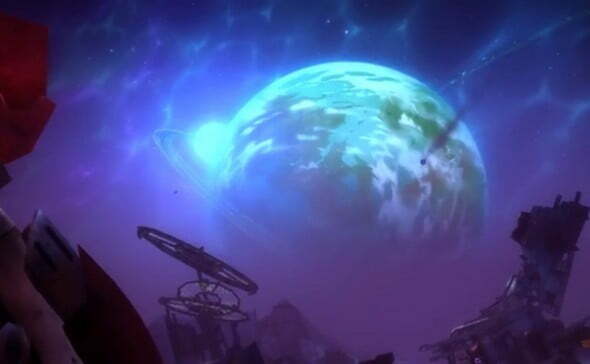 Though it does still have quests that feel like what we've come to know, the immersive world, imaginative art design and inspiring music make WildStar a must have.